‘Ludonarrative dissonance’. Say it out loud; you’ll feel smarter. In itself, the term ‘ludology’ – referring to the theoretical approach to games – bears enough pretence to deter the layman, let alone when combined with the multi-syllabic plaid-moistener that is ‘narrative dissonance’. Not surprisingly, it’s become the phrase du jour amongst the fledgling gaming intelligentsia. Coined in a criticism of Bioshock on Clint Hocking’s Click Nothing way back in 2007, ‘ludonarrative dissonance’ describes a disconnect between the assumed values of a game’s narrative and the player’s interactions therein. For example: the conflict between John Marston’s good-natured aims for absolution in Red Dead Redemption, and the sheer number of people he kills regardless, if just because the game’s design dictates it. Essentially, ‘ludonarrative dissonance’ describes the jarring effect most game stories create when held against their accompanying gameplay. For a long while, like many, I felt the term was overwrought. 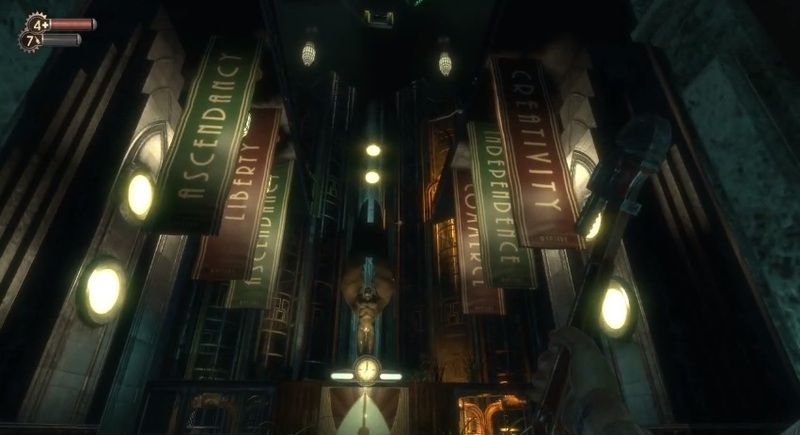 Shortly after falling in love with the first Bioshock, I couldn’t help but wonder why Hocking hadn’t chosen a more accessible phrasing for the phenomenon – one that wouldn’t make the passive bystander assume I was just a liberal arts student looking for self-validation. Now, however, I can’t help but feel like that was the point. Gaming has been in need of scholarly debate for longer than it’s been relevant. To this day, its most interesting characters are enshrined only as the ‘baddest babes’ and the ‘nastiest bosses’; its storytelling gauged on the number of times the protagonist falls over and screams ‘no’ into the sky. As Hocking notes, there’s an ‘unfortunate lack of game criticism, as distinct from game reviews’ in the public space, and it’s a problem rising to the fore as the medium veers towards bigger and brighter pursuits. Although it may reek of pseudo-intellectualism, the term ‘ludonarrative dissonance’ is knowingly incongruent with gaming’s current critical lexicon: the generic terms like ‘gameplay’ and ‘atmosphere’ that, while effective in short-form, say relatively little of substance. Confrontational or not, ‘ludonarrative dissonance’ is a shameless invitation to anyone who entertains the idea of talking about games using big, meaningful words. If you took an interest in Bioshock: Infinite in the wake of its release this March, chances are you may have run into the term a few times; most likely in a less-than-gleaming light. 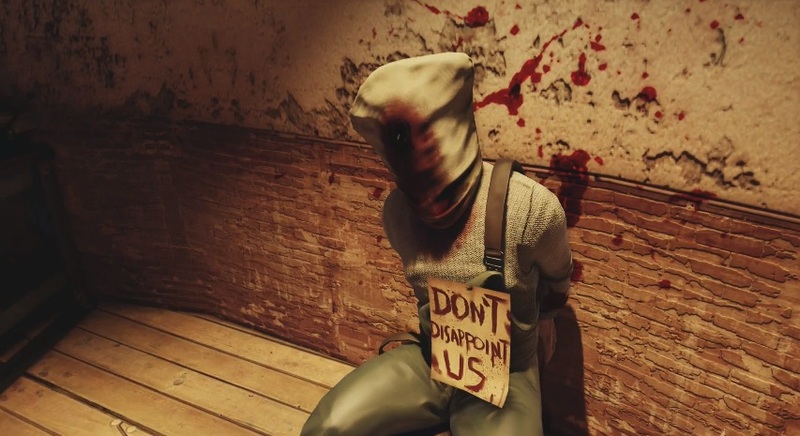 Infinite tells its story through the unfortunate medium of repeatedly shooting guys in the face, and, as you might imagine, has invoked the use of Hocking’s terminology across the internet. As much as I’d love to weigh in on Infinite, there are already some great pieces out there approaching Infinite’s dissonant qualities under Hocking’s terms (look no further than here and here for two great examples), all of which make their case with a great degree more clarity than I could hope to achieve. Instead, I’ll use this short space to level criticisms at ‘ludonarrative dissonance’ as a term unto itself – at the ways in which it has been appropriated during Infinite’s release period, and the ways that it reflects on the current state of games criticism. As things stand, my chief concern is that ‘ludonarrative dissonance’ risks migrating away from the intelligent discussion in which it was birthed, and back into the domain of ‘game reviews’ – that being, as a means to gauge purchasing decisions, rather than as a term for those who – in Hocking’s words – ‘want to think about the nature of games and what they mean’. It could be little more than a teething pain, but now that the Infinite hype train is running out of steam, I’m increasingly seeing the term used as a catch-all criticism, rather than a tool for debate. Brett Makedonski caught my ire with a recent piece on Destructoid, in which he described ludonarrative dissonance as a ‘sensation that undermines every gaming experience’. For Makedonski and many others, dissonance has become a ‘problem’ to be solved, grossly generalised and made the villain-of-the-week in the great games journalism pantomime. 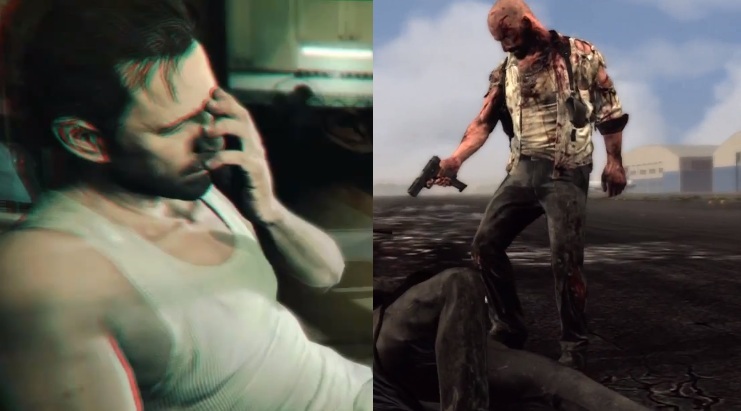 Yet the fact stands that the kind of narrative-bending logic embodied in the ludic elements of games like Max Payne 3 and Grand Theft Auto has the capacity to improve games as much as it does to ruin them; an interpretation explored in Robert Florence’s excellent blog post, ‘The Gaming Cringe’. To generalise and categorise ludonarrative dissonance as inherently ‘bad’ does disservice to the burgeoning world of scholarly game criticism. Ultimately, it is the critic’s duty to explain why ludonarrative dissonance is a bad – or good – thing on a case by case basis; in much the same way that we would initially approach any modern literary conflict from a neutral standpoint. Unlike all-encompassing phrases like ‘gameplay’, ‘ludonarrative dissonance’ describes a subjective, ever-changing process in which the reader projects themselves onto a work, holding a game’s ludic elements against their own interpretations of a narrative. It should thus fall on the critic to address that subjectivity – to bear the burden of explanation to not only express why ludonarrative dissonance is present in a game, but also explain its effects on the game as a whole. Plainly, ‘ludonarrative dissonance’ shouldn’t be used negatively unless supported by the critic, at risk of becoming just another pejorative reviewers can plunder to avoid specificity. If ‘serious’ game discussion is ever going to gain any weight in the public eye, then it needs to fully remove itself from the realm of ‘game reviews’, and approach ideas like ludonarrative dissonance without resorting to the shorthand typified in common game writing. As a collective, we’re all too eager to codify tropes and terms, placing them in conflicting camps of ‘good’ and ‘bad’, with little room for debate in the middle. Hopefully, now that Infinite has opened the floodgates for the likes of Florence and Leigh Alexander, we’ll see more true scholarly criticism in gaming; and not just a few new words cropping up on the ‘negatives’ section of reviews. Hopefully. It’s a small gripe, I admit, but we’re building a new vocabulary, here, and I’m worried that it might not be used to its fullest potential. I suppose only time will tell. Until then, I should probably just shut up and practice what I preach. Regardless, I take my hat off to Hocking for helming a ‘mainstream’ breakthrough in modern ludology, and to the numerous journalists, critics and bloggers who are leading its charge. Gaming sites are alight with the promise of critical theory – of new critical systems specific to gaming – and I couldn’t be more excited. Pretentious or not, we’re finally getting to play with shiny new toys of our own. At long last, I might get that Bakhtinian reading of Cool Spot I’ve been holding out for. My fingers are crossed. This entry was posted in Videogames and tagged Bioshock, Bioshock Infinite, Critical Theory, gaming, Ludology, Ludonarrative Dissonance, Max Payne 3. Bookmark the permalink.